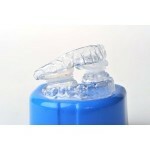 The snore no more mouthpiece is very easy to clean and maintain. It is designed in such a way as to reduce snoring in people and it could potentially also eliminate snoring. There are mixed reactions about this mouthpiece from people and this is probably because there are different causes of snoring (but also because there are different versions which people mix up). For some people this device really worked and it resulted in a much happier life especially where partner’s or family’s sleep was also affected. Surprisingly when reading closely the negative feedback from people it is not really about the device not doing its job, but rather complaining about the strange sensation of having a device in the mouth or the way that it fits. After going over those comments it is clear that this is perhaps a matter of getting used to and a matter of having the correct version (the material it is made of). After all, if the device does its job in reducing or even eliminating the problems of snoring and especially at quite affordable prices then one could take some time to get used to it. It is also important to note that some people did not realize they are supposed to boil the device (the cheaper versions), so it is important to make certain the instructions are present and followed, because once the procedure of boiling and cooling down is done then there seem to be a lot less complaints about the fitting of the snore no more mouthpiece. I also want to warn you of the various materials the mouthpiece could be made of. Some cheaper versions are made from sterile thermoplastic, but the more premium one is made of high quality dental raisin, which would insure a better feeling while fitting it. A number of the complaints would surely reduce if it would be possible to use the higher quality material version. 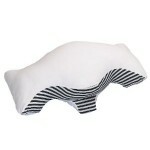 So all in all this is a very good device which clearly helps people to tackle their snoring problems. It is also rather affordable especially if the person is not too sensitive and can buy the cheaper versions. Below are a few alternatives from Amazon and a video explanation of the device. I find the Snore no more mouthpiece to be excellent, but I must say it was difficult to find one to be delivered where I live. I feel asleep watching the video.